Home Textiles There are 9 products. 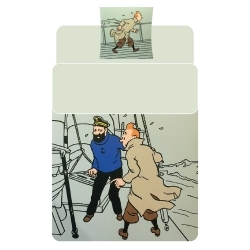 Very soft polar blanket of blue color, Tintin tin the Submarine Shark 100% polyester (130x160cm). 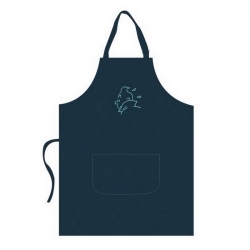 Grey Beach Towel with the image of Tintin on his back watching the birds in the harbor near the ship Karaboudjan in The Crab with the Golden Claws (Page 9, bullet C3). 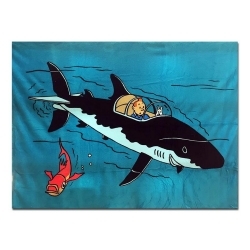 Beach Towel with the image of the shark-shaped submarine designed by Professor Calculus.The image corresponds to the C3 vignette (page 33) of the Red Rackham's Treasure with Tintin and Snowy inside the submarine. 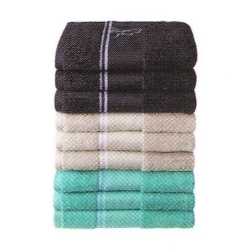 Duvet cover set for single bed and square pillowcase. 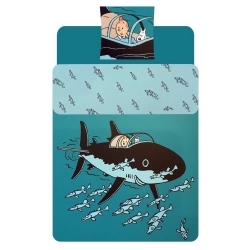 The duvet cover represents the drawing of Tintin and Snowy inside the shark-shaped submarine designed by Professor Calculus. The image corresponds to the D1 vignette (page 33) of The Rackham the Red Treasure. The square cover of the pillow reproduces just the previous bullet (C3). 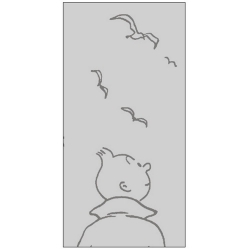 Very soft and ultra absorbent Bath towel Tintin. 100% cotton (555g/m²).